havent written much in last 2 months.. But definitely thr is a want for flow… huhu…..lets get started up Gal!! Weekend was sooper fun enjoying the best of the bristish summer. Visited Durdledoor and stayed over nite at Bournemouth .. Enjoyed every bit of the sandy beach and water on Sunday morning…with a load full of hot English breakfast… Ate much more than I cud… Skipped Lunch.. and played in pool for hours with a drop in jacussi & sauna…. Finally a 2 hours train journey..back to London !!! My parents , grandparents & in-laws loved it…. Had made them shortbread and chocolate chip cookies.. offcourse had to be eggless.. I could see them vanishing in minutes… and all my efforts were well appreciated !! Tat was a very special feeling to see them loving it! 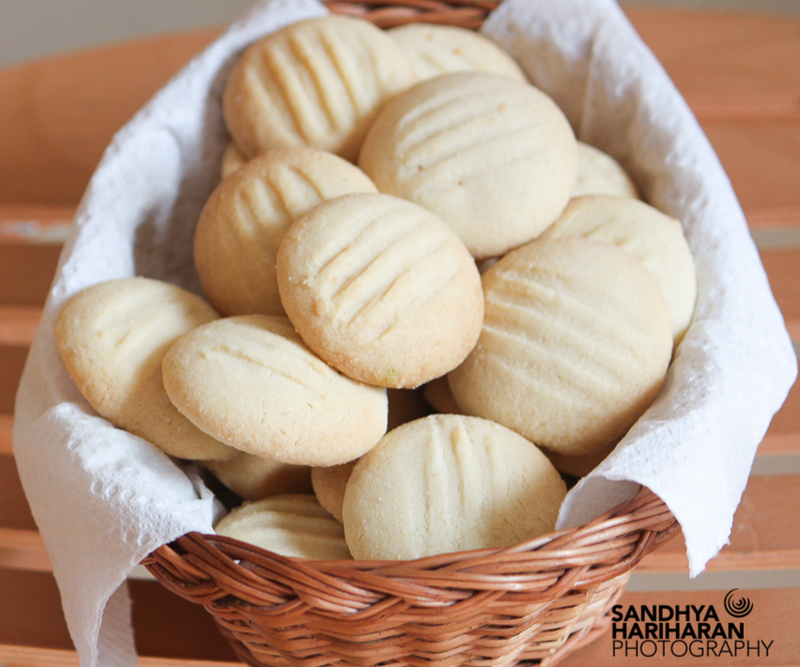 Whisk the plain flour , corn flour & sugar together in a bowl and keep it aside. Beat the butter and vanilla extract until soft and creamy. Now slowly incorporate the butter mix into the flour and whisk until just incorporated. Gently flatten the dough and cover it in cling film and refrigerate for atleast 1-1.5 hours. Once the dough is firm remove it from the refrigerator and make cookies of desired shape. I have taken roughly 1″ balls and have gently flattened them using the back of a fork. Grease the baking sheet and arrange the cookies in line. Refrigerate for another 10-15 minutes before placing them into the oven. Make sure the cookies are a bit firm . Only then the shape will be retained. Preheat the oven to 175 C . Place the baking sheet in the oven and bake for 10-12 minutes or until it slightly turns brown. Allow them to cool down before serving for tea. This preparation roughly yields 22-24 cookies. These cookies stay fresh for roughly 3 weeks if kept in an airtight container. Very uncomplicated and straight…. but we need to chill the dough until it gets a bit firm – Tats the key here. My last effort couple of months ago was partially a disaster.. Because the dough wasnt very firm , all the cookies lost shape when I baked.. and it became like a flat biscuit that I had to cut and serve. Must mention.. It did taste fab then tooo 🙂 My friends loved it.. They kept saying.. Who cares for the shape.. when its yummy ?? Wow wonderful healthy cookies..looks yummy!!! Lovely shortbread cookies…who will resist them..
Luv shortbread cookies….urs looks crispy and perfect…I have amde these too….came out gud! Scrumptious cookies, looks prefect and marvellous.. These cookies sure luks yummy n soft. these looks so perfect, especially the 2nd click..I am drooling over these pics..simple yet perfect.. Cookies look delectable and tasty.I didnt realise you were in UK good to know afellow uk blogger. Thanks a lot for dropping by my blog and for ur lovely comment. I luv ur space …. very inspiring. Gr8 clicks and recipes . Shortbread cookies looks awesome. Thanks for visiting my blog. Sure I will try to send something for your Flat bread event. I will be following you, You have nice space. Thank you all the lovely ladies..
Its pleasure to know you… tHANKS for your lovely comments. They look so cute and perfect…!! lovely and tempting cookies inviting me to grab them. yummy cookies… looks really good.. The Cookies look absolutly yummy , love the great click too ……. These are lovely, crispy and so buttery. 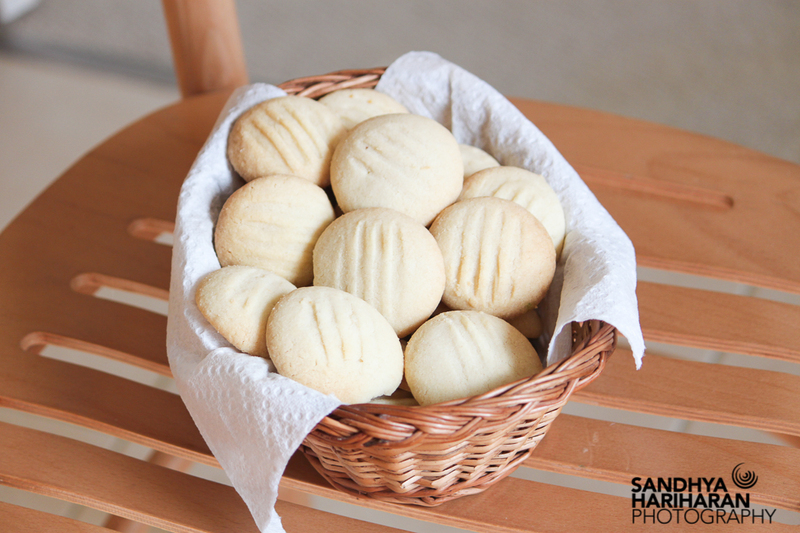 The cookies look yummooo..and tell mee about the weather..isnt it just gorgeous..
Am drooling at those cookies dear. Perfectly baked.. I am bookmarking this recipe..
Looks so tempting! !luv ur space..following u now..Do chk out my blog whn u got d time..Tc..
Hey those cookies are lovely….and came out very perfect…..
First time to ur blog and i loved all the recipes collection in ur blog….Too good one…. thank u jaisy, prats corner, priya and gayathri raj for stopping by!! Will b definitely dropping thr.. and hoping to see u more often!! Wow awesome…You are so talented ! !